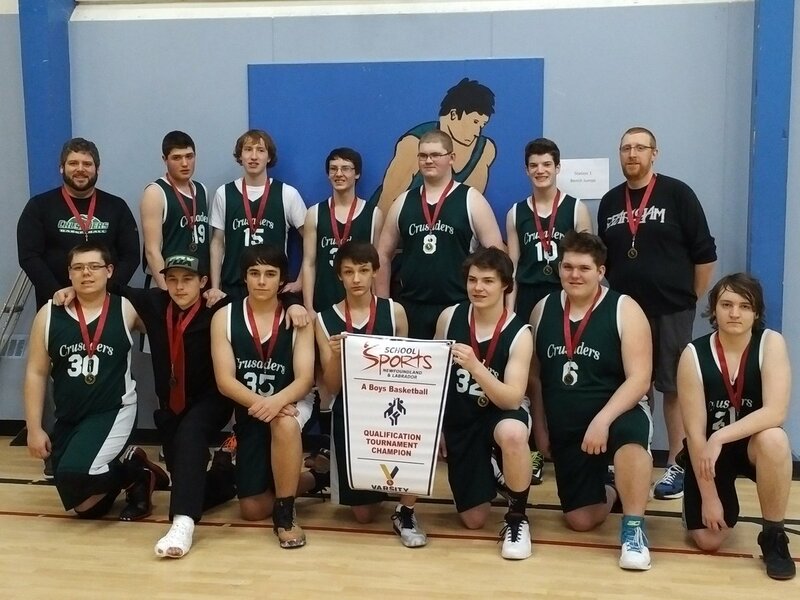 The Senior Boys Basketball team will be heading to Provincials at St. Mary’s (Dunne Memorial Academy) next week after capturing the Regional Banner with a win over St. Mark’s. 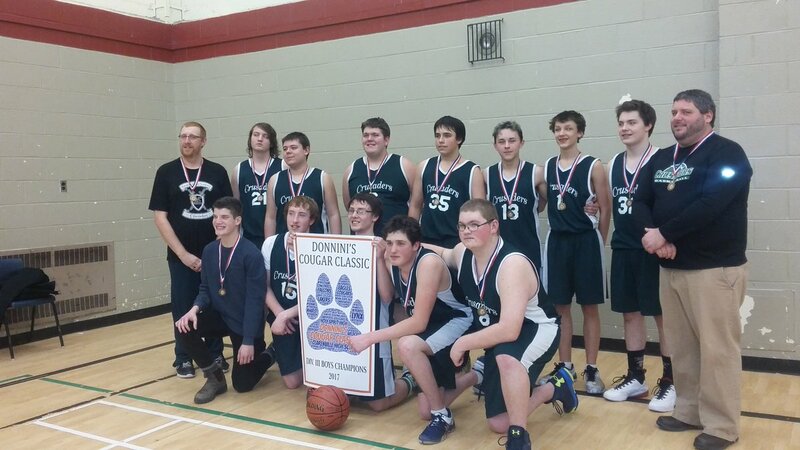 The Crusaders defeated the Lions to capture the SSNL Avalon West ‘A’ Boys Basketball Regional title. We would like to thank Mr. Glen O’Driscoll and the boys from St. Mark’s for coming up and competing! The boys have had a pretty good season thus far as they have previously captured the tier III banner at the Cougar Classic in Clarenville early this winter. We look forward to seeing them represent us at the Provincials next week. Go Crusaders!!! This entry was posted in School Life Archive and tagged athletics, School Life on March 1, 2017 by riawebsite.